Way back in 1992, so long ago that it’s even disappeared from remaindered bookshelves, I wrote a tome about Chardonnay. It was a tour d’horizon of the world’s most popular white grape, with entries grouped by country from Argentina to what was then still called Yugoslavia. Maybe Zimbabwe should have been in there to complete the A to Z. South Africa featured too. As well as providing details of the first plantings at the Welgevallen experimental vineyard in the 1920s and the so-called Chardonnay scandal of the 1980s, when semi-illegal plantings of the variety were found to be Gros Auxerrrois, I profiled what I felt were the Cape’s best producers at the time. There were seven of them in all: Backsberg, Boschendal, De Wetshof, Glen Carlou, Hamilton Russell, Rustenberg and Vriesenhof. In the quarter of a century since I wrote that book, South Africa’s wine industry has been through a well-publicised revolution. If I were writing the same overview today, the list of the country’s leading Chardonnay producers would look very different, although De Wetshof, Hamilton Russell and Rustenberg would still be on it, and Boschendal wouldn’t be too far away. Many of the top names today didn’t exist in 1992. In my 2015 South Africa report, I chose 34 Chardonnays among my wines of the year, from a total of 28 producers. The complete list, in alphabetical order, was as follows: Arendsig, Ataraxia, Chamonix, Creation, Crystallum, Delaire Graff, De Morgenzon, De Wetshof, Hamilton Russell, Hartenberg, KWV, Jordan, Kershaw, Lismore, Longridge, Neil Ellis, Newton Johnson, Paul Cluver, Rupert & Rothschild, Rustenberg, Sterhuis, Sumaridge, Thorne & Daughters, Tokara, Uva Mira, Vergelegen, Waterford and Yardstick. You see what I mean about all change. Back in 1992, I argued that Chardonnay was “producing the Cape’s finest dry white wines”. This was partly a reflection of the comparatively lowly status of Chenin Blanc at the time, but I like to think it was a prescient statement. Cape White Blends (both Bordeaux and Mediterranean styles), Sauvignon Blanc and Chenin are all sources of excellence in South Africa these days, but the white grape that has scaled the highest international peaks is Chardonnay. The best of these are world class. Or at least they are in my view. Chardonnay was the focus of this year’s Lismore tasting, an annual event that grew out of a good natured exchange I had with local wine writer Christian Eedes about the quality of Cape Syrahs a year or so ago. Christian felt I was over-rating them; I felt he was exhibiting a bit of what Australians call cultural cringe: the tendency to believe that homegrown products are innately inferior to those produced overseas. Last year, I think my point of view was vindicated. Cape Syrahs more than held their own against some very good examples of the grape from elsewhere. But how would Chardonnay do against an international field? The complete list of the wines we tasted is at the end of this article. I brought a dozen of the non-South African wines from my own cellar, which was supplemented by two white Burgundies from Sam O’Keefe’s own cellar. The owner of Lismore (and our generous host for the tasting) also rounded up all of the South African wines. These were a combination of my and Christian Eedes’ favourites, although Christian was not present at the tasting this year. All of the wines were tasted blind, in a random order that was unknown to me and Sam, as well as the other judges. Sitting in front of the spittoons were the following, well-qualified winemakers: Nadia Barnard (Waterkloof), Andries Burger (Paul Cluver), Peter-Allan Finlayson (Crystallum) Richard Kershaw MW (Richard Kershaw Wines), Adam Mason (Mulderbosch and Yardstick), Gordon and Nadia Newton-Johnson (Newton Johnson), Samantha O’Keefe (Lismore Estate Vineyards), Donovan Rall (Rall Wines), Duncan Savage (Savage Wines and Cape Point Vineyards) and Hannes Storm (Storm Wines), some but not all of whom make Chardonnay and had entered wines in the tasting. James Pietersen of winemag.co.za and I represented the Fourth Estate. As an aside, I’d like to address one question that has been posed about the tasting since the results appeared on social media: “Should winemakers be allowed to judge their own wines?” My response is threefold. 1. Several of the winemakers had no wines in the tasting. 2. Winemakers are notoriously unreliable when it comes to spotting their own wines. 3. It’s not that kind of tasting. As much as anything, this is intended to be a forum for discussion about what the Cape does well and what it could do better. The results, which should be taken seriously, but possibly not too seriously, were another triumph for South Africa. Three of the top five and six of the top ten wines chosen by the group came from the Cape. My own top ten (see below) was not identical to the collective result, but I also had six local Chardonnays in my list. 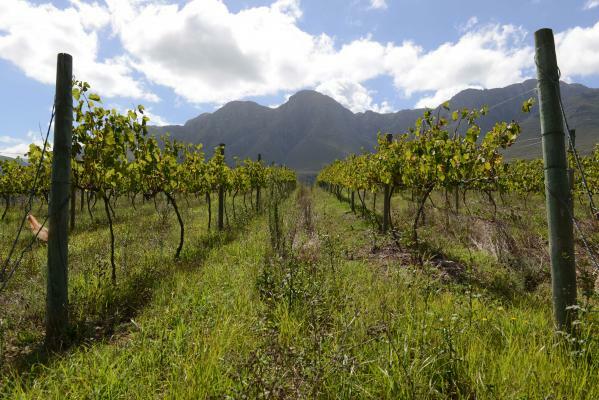 The Cape wines that did well represented a range of styles, vintages and origins, but what they all had in common was balance, good oak handling and well-defined fruit flavours. I expected the Burgundies to do better than they did – the French wines tasted better the next morning – while the quality Canadian and Chilean wines surprised many people. Was it easy to spot which country produced which wine? In most cases, it was not. Top Chardonnay is increasingly difficult to pinpoint, partly because everyone else has upped their game to compete with Burgundy, but also because many of them use the same techniques. The very best Chardonnays still come from Chablis and the Côte de Beaune in my view, but the rest of the world, including South Africa, is closing the gap.